• Check out the Art by Kids in the windows Downtown, brought to you by AEYC! The Juneau Arts & Humanities Council is pleased to present “Good Impressions,” a group exhibit featuring the work of nine Juneau printmakers, opening in the JACC Gallery during Gallery Walk for the month of December. The artists in “Good Impressions” include Gordon Harrison, Jim Heumann, Julianna Humphreys, Fumi Matsumoto, Michelle Morrell, Charles Rohrbacher, Jane Stokes, Alice Tersteeg, and Peggy Wertheimer. Each artist brings a wide variety of printmaking techniques and styles to the exhibit. The “Raindeer” Band (featuring Sue Schrader and players from the Taku Winds) will provide live music during Gallery Walk. After the exhibit, put on your dancing shoes for Ballroom Dance in the Main Hall from 7-10 PM. Alaska State Museum: Amy Meissner/Inheritance: makers. memory. myth. Artist Amy Meissner explores domesticity and motherhood. She describes herself as a memoirist, whose preferred medium is textiles and preferred language is the stitch. Meissner’s textile art combines traditional handwork and contemporary imagery to explore memory, fragility and the literal, physical and emotional work of women. Her materials are vintage, discarded or found and manipulate unknown histories to shape a narrative or myth for each artwork. 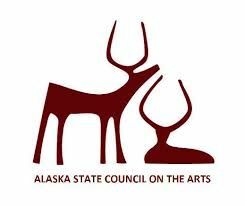 The Friends of the Alaska State Library, Archives, and Museum will host a reception from 4:30-7 with light refreshments, and Amy will present an artist talk in the lecture hall starting at 7. The JAHC presents a new exhibit in the Davis Gallery at Centennial Hall: “The Rolodex Project//On Leadership” by artist Sarah Campen. This installation exhibit features interactive film and sculpture elements and encourages viewers to participate during December Gallery Walk. The artist will present attendees with the same prompt, film their responses, and add gestures to the film. The result will be a growing collaborative dance piece representing community leadership values. COPPA will feature new landscape paintings by Jim Fowler during December and January. Juneau Student Symphony will perform a special lunchtime concert at the SOB atrium on this final First Friday of 2018. Music of Mozart, Dvorak, and Viotti will be featured, along with popular seasonal favorites and a sprinkling of holiday magic. This is free and open to the public, donations welcomed. Go to juneausymphony.org or call 586-4676 for more information. Excited and inspired by the City Museum’s recent acquisition of three Sydney Laurence paintings of Juneau, the Plein Rein Painters set out to paint ‘en plein air’ in their individual styles from the same vantage points nearly 100 years later. This exhibit includes the work of 19 Juneau plein air artists. Along with the current Plein Rein Painters work, the City Museum will have their collection of three Sydney Laurence paintings on display. In conjunction with the museum exhibit, a “Coffee & Collections” discussion of the artists’ process will take place on Saturday, December 8th at 10:30 AM to noon. Audience members will have the opportunity to meet the artists and ask questions. 2019 Plein Rein Calendar, featuring images from the exhibit are available at the JDCM shop. Bauer Clifton will be hosting their annual open house to unveil their newest portfolio. The photography, taken by local photographer Inua Blevins, will feature local home remodels; including kitchens, bathrooms, bedrooms and living rooms here throughout Juneau. They will also be hosting their annual Nest candle event. Purchase one regular priced Nest item and receive 25% off your second of equal or lesser value.Stop by and see some of their work, pick up a candle for someone special on your Christmas list while enjoying refreshments from Pie in the Sky! In addition, Frenchie’s Floral Studio will be displaying a collection of artisanal wreaths at the Rookery Cafe alongside other local vendors. Indulge in nature-inspired, movement-filled designs featuring a spread of seasonal ingredients including fresh pine, fragrant cedar, juicy juniper, elegant eucalyptus branches, and more. Loaded with texture and ready to hang, Frenchie’s wreaths will be sure to add an extra touch of yuletide cheer as you adorn your home for the holidays. Kris Reed will be sharing & selling close to 75 pieces of her glass created through the process of mixing techniques, glass enamels, flame-worked elements and the use of ground glass powders and frits. Shawn Hatt Cohen is showing 12 watercolor paintings representing a glorious week of exploration she spent last summer overlooking Amalga Harbor & hiking the area where the sunsets were as magnificent as the mosquitoes. Master Violinist Steve Tada and Master Violist Andrew Shrimmer will be playing their favorites starting 6:15. Holiday Cheer: Good food, friends, entertainment, Christmas gifts, stocking stuffers, holiday decorations…time to use your ALB Bucks! Drop by the Goldbelt Mt Roberts Tramway lower lobby during Gallery Walk, located at 490 South Franklin Street. Enjoy Complimentary Hot Cider and Hot Chocolate and take care of some Holiday shopping! Look for the following items: Christmas Ornaments, Select Silver Hand Items, 2019 Season Pass Sales. The Espresso Stand will be open for purchases and we will do a door prize drawing for a holiday gift basket (no purchase necessary). Blueprint Downtown is a planning project to engage the community in creating a vision for the future of Downtown Juneau. The Red Dog Saloon is proud to present a night of live music with Susu and the Prophets! SEACC is featuring art from the Watershed Arts Show which was shown during September and October at the Haines Sheldon Museum. You can also pick up some SEACC shirts and hats along with enameled earrings by Haines artist Kelly Mitchell which make for perfect holiday gifts! This special First Friday will feature snapshots taken by our customers over the past year. The show celebrates Juneau and community. We’ll also have snacks catered by Kira Kiel! Harbor Tea & Spice: Season Your Holiday with Love! Season your holiday with love at Harbor Tea & Spice! We have spices, teas, olive oil and vinegar, tea ware and gift baskets galore. We have gifts that are sure to bring smiles and flavors that create holiday cheer for family and friends. May your holiday sparkle with moments of love! Join Kelsey H. Fagan of Elevate Art Studio at Foggy Mountain Shop for an exploration into the world of Southeast-centric ink and watercolor paintings in both wearable and frame-able formats. Kelsey’s vibrant ink and watercolor expressions capture the essence of Southeast’s land, water, glacier and mountain-scapes and will be available in a variety of gift-able forms, including new designs in her Policy of Generosity artful trucker hat series in which a percentage of proceeds go to various local non-profit organizations. Each hat is locally hand produced by Scott Baxter and team at Aurora Projekt and is linked to a different non-profit organization, including JIRP (Juneau Icefield Research Program); the Adaptive Ski Program at ORCA/SAIL; Trail Mix, Inc.; Salmon Beyond Borders; Stand for Salmon; and rescue efforts for the victims of Paradise, CA. Originals, prints and hats will available for purchase. Additionally, according to annual tradition, Discovery Southeast will be joining us at Foggy Mountain Shop. Renew your membership or become a new member of Discovery Southeast and receive 20% off your Foggy Mountain Shop purchase on the evening of Gallery Walk! Foggy Mountain Shop and Elevate Art Studio invite you for an evening of community non-profit support via shopping and art! Come join us! Aunt Claudia’s Dolls, a Museum: Post Road Construction Museum Re-Opening! We’ve dolled up the Museum after closing it up for protection while S. Franklin was reconstructed. Our reopening concluded just in time to host the film crew from the international Atlas Obscura for a five-hour video and interview tour of the museum to be featured later this year on their site, video channel and newsletter. For the first time we have a start at showing our extensive collection of puppets and marionettes with our full sized puppet theater. Our Canadian Inuits have their own case in the Northern Indigenous doll room. And we have expanded our collection of local dignitaries with a generous donation of a local living legend made by a local artist. You have to come see it to believe it! Christine Lewis is the featured artist for the month of December at the Juneau Artists Gallery. Christine is known for her original oil landscapes that capture the essence and light of the Juneau scenery. Her oil miniatures have been very popular at a great price. She has created new framed minis, boot cards and a stunning array of oils for the Gallery Walk opening on December 7th. Come join us for the best treats in town during Gallery Walk from 4:30 to 8 pm. We are located in the Senate Building, 175 South Franklin Street. The Juneau Artists Gallery is operated cooperatively by more than 20 local Juneau artists who each have a section in the gallery. The gallery still has spaces available for new artist members. Artist membership applications can be picked up at the gallery. Christy Newell of accesSEWrize handmade is a Juneau fiber artist whose love of the Alaska outdoors inspires her fabric creations. For Gallery Walk, she will have a limited edition run of laminated cotton travel bags in a special Urban Haven Skincare-inspired print. She will also be releasing her second annual Christmas ornament collection made from cork and Alaskan nautical charts. As always, Modern. Handmade. Alaskan. The Juneau Youth Art Exhibit, sponsored by Juneau Youth Services, features original artwork by Juneau’s youth. The exhibit’s purpose is to bring awareness to the talents of Juneau’s local youth, and connect youth the community at large. Juneau’s youth come from every background you can think of and too often have unrecognized and worse than that uncelebrated talents. So many youths use the arts, in one form or another, as a therapeutic outlet to express what they often cannot find the words to say. 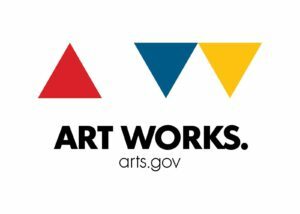 One of our goals is to get community members to meet and get acquainted with some of Juneau’s youth through their art and biographies. Our hope is to inspire our community members to think about what they experienced in their own lives and what kinds of support they might be able to offer a child or young person in our community. Whether they are able to invest 15 minutes or 15 years, every little bit helps! 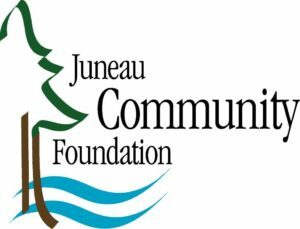 We have coordinated with other programs in Juneau to provide different examples of where and how they can help support Juneau’s youth. The opportunities range from a one-time Christmas gift donation for a child, donating a holiday food box to a family in need or even becoming a foster parent! Stop in the Baranof Hotel to enjoy the collaborative artistic efforts of the UAS students and faculty. This year Discovery Southeast will once again set up a table in the entryway of the Foggy Mountain Shop on Franklin St. Come renew your membership or become a first-time member! All Discovery Southeast members will receive a 20% discount on any purchases from Foggy Mountain. Cheers to the season! 20% off all handmade Polish Pottery for the month of December. Each piece is uniquely different and is dishwasher/ oven safe. Add to a collection or get someone started! Beautiful and functional for serving memorable meals! Featuring handmade silver jewelry by Lisa McCormick. 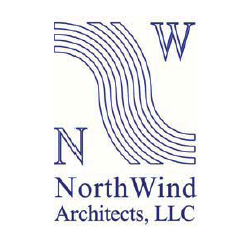 A longtime local favorite and distinctively intriguing Alaskan designs! We are also giving away 25 Christmas ornaments to the first 25 people who mention the Gallery Walk JAHC map! The Bear’s Lair will feature Dave Stout showing his copper flame painted ornaments. Dave is a Juneau artist, who individually hand cuts ornaments from a sheet of copper and flame paints them with a welding torch, creating beautiful, unique pieces. 174 A South Franklin St.
Juneau’s Imagination Station will be featuring specialty toys to spark creativity and the love of play! Holiday treats will be served all night at Juneau’s Imagination Station. Theresa Soley will lead this free yoga practice, which will begin with sun salutations to warm and bring light to the body. We will then move into yin yoga, long-held postures, and end with a restorative conclusion. All levels are welcome! Kindred Post: Sentinel Coffee Cocktail + A Tiny Choir! Sentinel Coffee will be joining us (for the 4th year in a row!) to celebrate with their inventive coffee and tea drinks, on them! Dave will be slinging fun beverages throughout the evening. PLUS we’ve invited tiny choir, the Bell Bell Bell, What Do We Have Here’s, to usher in the holiday season in full song! Come hear the sweet sounds of Rashah McChesney, Allison Holtkamp, Elizabeth Ekins, Cate Ross, Andria Budbill, and Wendy Hladick live and in post office concert. ALSO: We’ll have daily deals throughout December that we’re posting to our Instagram stories (follow us @kindred_post!) and Gallery Walk is no exception. Keep an eye out for a definite good deal on Dec 7th! A Trip on the Yellow Brick Road, Sofia Bulgarai & Other Cities — Join us for Dessert during Gallery Walk. Items from that area will also be available for purchase. Hoppy Holidays! Join us in getting festive with Gallery Walk at the Depot. We’ll have live Christmas music by a local brass group, tons of holiday shopping for everyone on your list, and, of course, delicious beer. We’ll be pouring samples of SMaSH Strata, Winter Ale, Cranberry Tart, and Imperial Oatmeal Stout. Come and kick the holiday season off with us! Sealaska Heritage: Featured artists Marcus Gho, Sugar Bear treasures, Student Art Showcase, Baby Raven Book Signing and More! Sealaska Heritage will host featured artists Marcus Gho and Sugar Bear Treasures in the lobby of the Walter Soboleff Building. There will be an art showcase on display in the Living History Center featuring Juneau Douglas High School and Thunder Mountain High School student work from teacher Xeetil.Éesh, Mr. Lyle James’ Alaska Native Design 1 course. All blankets and kuspuks will be 15 percent off at the SHI Store. All are welcome. A photo exhibit by seven talented female photographers from Juneau: Kari Monagle, Kerry Howard, Gina Vose, Carol Henke Lahnum, Nikki Finnerty Weiss, Heather Holt, and Jos Bakker. Bustin’ Out Boutique is so excited to bring back the Wearable Art BRA EXTRAVAGANZA! Come by our new space, 234 Front Street, and check out pieces from artists Lauralye Miko, Amy Dressel and many more! Most of these beautiful pieces will be up for silent auction with all proceeds benefitting ‘Free The Girls’, a non-profit all about abolishing human trafficking. We will have light snacks, refreshments, and uniquely beautiful items from local artists up for silent auction! Enjoy live Jazz music during Gallery Walk — featuring the musical talents of Alyssa Fischer, Tom Logher, and Clay Good. The Alaska Robotics Gallery will feature local artist Pat Race and his recent works, “I Drew Some More Bears,” a collection of digital illustrations along with original water colors & ink sketches. The Rookery Café: Works from Amanda Filori, Lucky Me Outpost, Frenchie’s Floral, Jon Lyman, and Tracy Forst. The Rookery Cafe will be open until 8pm serving coffee, drinks, and plenty of delicious baked goods. Come warm up with a hot drink and check out some fantastic locally made goods from Amanda Filori, Frenchies Floral, Jon Lyman, Julie Crabtree, and Tracy Forst. Jon Lyman will be offering a special 20% holiday discount on his heritage bamboo fly rods! Gross-Alaska Theatres will feature local artist Sydney Bauer of Musical Menagerie. Her recent work will be featured including matted Giclee prints and paintings, printed greeting cards, tote bags, and mugs. Musical menagerie is a collection of art featuring an ark’s worth of creatures crafted from musical notation. More than simply beautiful, the menagerie celebrates the artist’s love of music -a true universal language- and the fauna of her Southeast home, and beyond. Gross-Alaska will have complimentary popcorn and soft drinks. We will also be running a promotion on gift cards – buy a $50 Gross-Alaska gift card and receive a free munchie money to use at concession anytime. New oil paintings of local landscapes, hand painted t-shirts, earrings, metal prints, ornaments, and lots of little original art pieces. Discover a wide variety of original art, including new large landscapes and lots of little whimsical creations. Hand painted t-shirts for all ages and sizes, earrings, metal prints, ornaments, and other great gifts available at MK’s Studio Sketch! New bag made of recycled plastic featuring two landscape paintings is available at an introductory price for locals this holiday season. Rico and Crystal Worl are releasing new apparel for men and women! For Gallery Walk, Trickster Company will once again be featuring DJ Chichagoff who will be spinning upbeat holiday tunes! Each week throughout the month of December, Trickster Company will be offering 15% off on select product lines. Keep an eye out on our Instagram and Facebook pages for further details. Featuring Photo exhibit (Thane Ore House Miners) photos by Art Sutch. Chris Miller and Art Sutch will be debuting our 2019 Alaska Calendars. Gallery Walk is the biggest event of the year at Annie Kaill’s! Stop by for cookies and sparkling cider, plus two great guest artists: Brenda Schwartz and Katie Sevigny. Marine artist Brenda Schwartz, from Wrangell, will be showing a collection of new original paintings in her signature style of painting over navigational charts. Kaill’s will have an expanded selection of her prints and prints on metal as well. Brenda was not able to make it to Public Market this year, so this is Juneau’s opportunity to see Brenda and her latest work. Anchorage artist Katie Sevigny will be showing and personalizing her colorful prints. Kaill’s will also have a selection of giclee prints on canvas as well as Katie’s latest new work. Katie’s art is colorful and modern, and she is known for her stylized paintings of trees, flowers, and wildlife. Annie Kaill’s will feature art from Brenda Schwartz and Katie Sevigny all month long. For more information and examples visit www.anniekaills.com. Shoefly will be sharing the art of the edible shoe. Come experience the delight of a SHOEOOKIE! The Canvas Gallery and Community Studio is pleased to present a group exhibition of new works featuring Gallery artists. The “Canvas Artist Sketchbook Show” will run from December 7, 2018 – January 25, 2019 with an opening reception First Friday, December 7th from 4:30-8:00 p.m. The exhibition will also feature works by Canvas Staff. 11 Canvas gallery artists will be featured in the show: Gloria Cava, Gary Peterson, Jeff Larrabee, Jeff Douglas, Mirov Menefee, Annie Eichorst, Grace Coenraad, Mary Ann James, Mike Godkin, Andrea Short and George Grey. For this show many of the works are inspired by their likings, pieces that explore new materials, unique techniques and the use of color as an important and explosive driving force. “SaraNaTa” (Sara Radke Brown, Steve Tada, Nancy Nash, Andrew Schirmer, Jetta Whittaker, David Seid and John Staub) will be performing Baroque tunes and Carols during Gallery Walk at The Canvas, starting at 5 pm. The Canvas Community Art Studio and Gallery is located Downtown, 223 Sweard Street, between 2nd and 3rd. Gallery hours are Monday – Thursday 10am-7pm, Friday and Saturday 10am-5pm. For additional information call 907.586.1750. The Triangle will feature our Patron’s art work. All art work has been drawn on a cocktail napkin. Every napkin is unique. Come see all the entries in our Napkin Art Contest. You will be able to vote for your favorite napkin on December 7th. We will award cash prizes on Saturday, December 8th. The art will stay up all weekend. We will also have wine specials and charcuterie trays. Come party at the bookstore! The Flustered Cluckers will be bringing down the store for Gallery Walk 2018. Oh, and don’t worry, the snacks and drinks will be a-flowing! Downtown Dames will be featuring Passenger Poet (Audrey) & Willow and Luna (Erin)! Audrey is a local poet who will be writing poems by prompt. Erin will be showcasing her hand-made leather and fabric purses, backpacks, and fanny packs! Book Signing with Alaskan Mystery Author and Poet, John Straley!